Active School Neighborhood Assistance programs. Funding compensated MGT as a sub-consultant to NCE for provision of SRTS grant writing workshops, as well as the compilation of either a School Route/Travel Plan or Active School Neighborhood Assistance Program Report with aerial and Safest Routes to School maps, existing conditions, prioritized problems, countermeasures, estimated costs, photos, existing schematics of engineering improvements, an implementation plan, and summary of potential SRTS programs/projects that could be submitted for additional SRTS grant funds. Utilizing these plans and reports, the NCE consultant team provided clients with one-on-one technical assistance in developing/writing their SRTS grant applications. MGT was instrumental in encouraging the first military installation, the U.S. Army Garrison Yuma Proving Ground, to pursue SRTS infrastructure funding for PFC James D. Price Elementary School, and funded the first tribal SRTS grant in the U.S. for the Yavapai-Apache Nation. 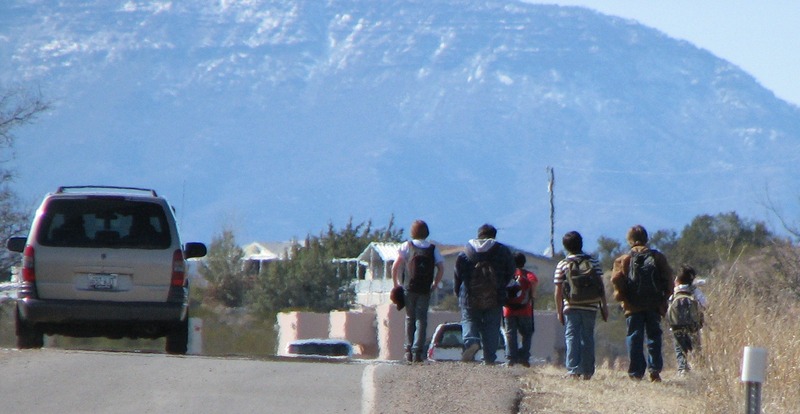 The purpose of the Active School Neighborhood Assistance Program (ASNAP) was to provide technical assistance to communities, which presented relatively low Active School Neighborhood Checklist (ASNC) scores when having attached their ASNCs to grant applications from past ADOT SRTS program grant cycles. Town of Pinetop-Lakeside – Blue Ridge Middle School and Junior High. In the fall of 2006 , Brian Fellows had barely warmed his chair as the new State Safe Routes to School (SRTS) Program Coordinator for the Arizona Department of Transportation’s SRTS Program when he received a call from MGT’s President when she was the Town of Pinetop-Lakeside’s Grant Coordinator. She was asking when the first SRTS grant round would be conducted (albeit three months ahead of its publication). SRTS is MGT’s favorite grant program, as it does everything right: encourages kids to walk and bike to school; reduces traffic in school zones; improves the air quality around schools where our young people spend the bulk of their time; and installs critical infrastructure needed to make our communities and community members more safe while walking or bicycling our neighborhoods. provided SRTS grant writing workshops to 169 participants (including 6 tribes, the Bureau of Indian Affairs, and the Inter Tribal Council of Arizona), which lead to the successful funding of $5.3 million in SRTS grants.